A moving message and a sweet photo from the star marked the occasion. Tamera Mowry-Housley's son, Aden, turned 6 on Monday, but as the star celebrated her little boy's big day, her thoughts turned to another member of the family. 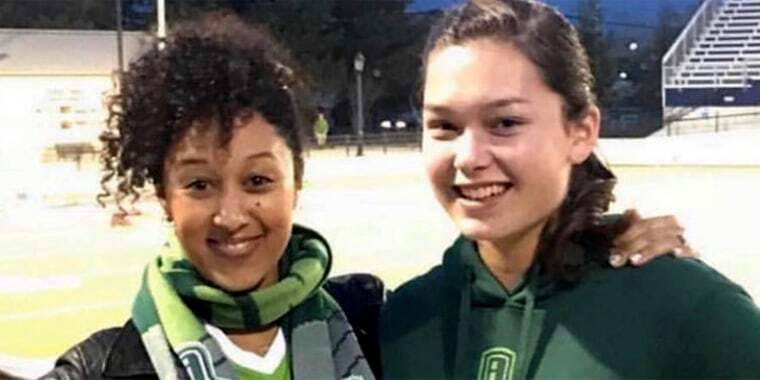 Alaina Housley, her 18-year-old niece, was among the victims of last week's mass shooting at the Borderline Bar and Grill in Thousand Oaks, California, and to mark Aden's birthday, Mowry-Housley shared a special photo and a touching message. "Happy 6th birthday Aden!" she wrote in an Instagram post. "Alaina was excited to come to your birthday party. But as you said buddy, 'She lives in your heart now.' We love you." The sweet pic that accompanied that caption showed Alaina kneeling beside Aden, holding a bouquet of flowers he'd given her in each hand. The message closed with a single heart emoji. Mowry-Housley's husband, Adam Housley, shared the same photo with his own followers, noting that Aden was excited to give her those blooms that day and that Alaina's spirit lives on through him. "Happy birthday Aden, as sad as we are, we are so blessed you have a heart like your cousin and we know you will carry her spirit for the rest of your life and make this world a better place," he wrote. Mowry-Housley's post was the second Instagram tribute to the young woman she'd shared with her fans in recent days. "Alaina. My sweet, sweet Alaina. My heart breaks. I’m still in disbelief," she wrote at the time. "It’s not fair how you were taken and how soon you were taken from us. I was blessed to know you ever since you were 5. You stole my heart. I will miss our inside jokes, us serenading at the piano. Thank you for being patient with me learning how to braid your hair, and I will never forget our duet singing the national anthem at Napa’s soccer game. I love you. I love you. I love you. You are gonna make one gorgeous angel." She added, "My heart and prayers are with every victim of this tragedy." Mowry-Housley has served as a host on "The Real" for the past five years, but she was absent from the talk show Monday as co-host Loni Love offered a tribute of her own to the fallen member of her friend's family on behalf of the program. "The Real" also shared an earlier message of support on social media, honoring all 12 victims of the tragedy, along with a special mention of "love and our deepest condolences to the Housleys."